Centraal Beheer Achmea scared the living daylights out of drivers in the Netherlands with this “Back of the Bus” advertisement. 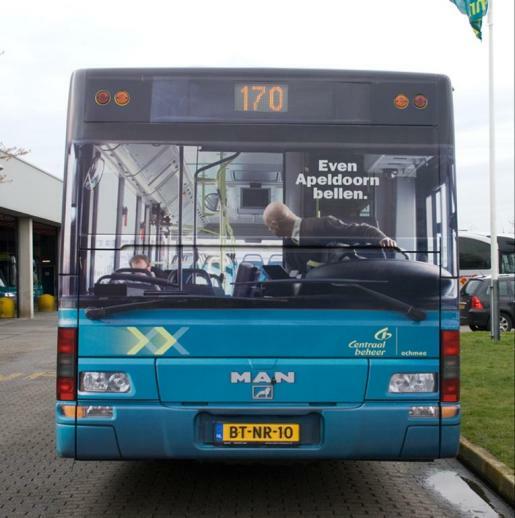 It appears as though the driver is looking at the front of a bus, and that the driver is not looking where he’s going. Drivers are encouraged to “Just Call Us”, or, in Dutch, “Even Apeldoorn Bellen”. 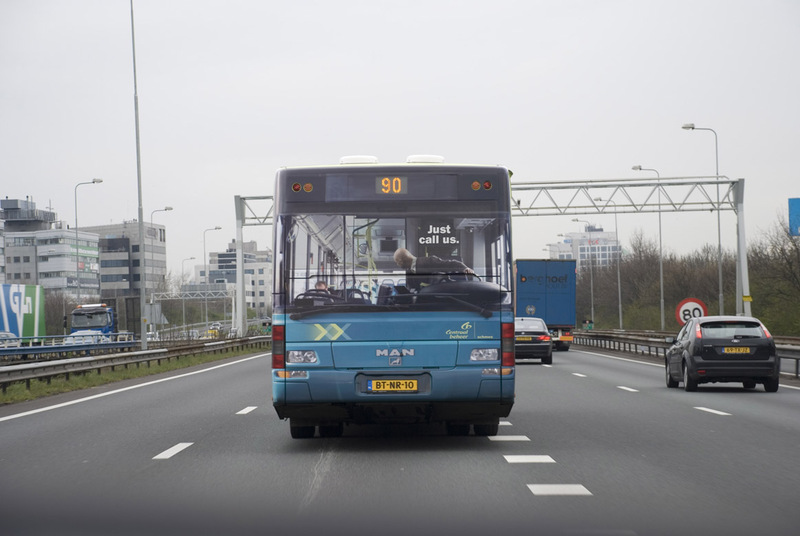 The Back of the Bus campaign was developed at DDB Amsterdam by executive creative director Martin Cornelissen, art director Marco Sluijter and Daniel Ashkol, copywriters Dieuwer Bulthuis and Maarten van Kempen, and photographer Ernst Yperlaan. The campaign won Gold Outdoor Lion at Cannes and the Grand Prix for Outdoor at Eurobest Advertising Festival 2008.